← The Rebe11ion – Details! If you’re looking for Sam, she’s smack dab in the middle! On the outside, Sam is a good looking 21 year old with a sweet demeanor and some of the kindest eyes you’ve ever come across. Hidden behind those eyes lie experiences that most can relate to but very few would expect if you were to judge a book by its cover. In Sam’s words, she’s always felt awkward. Growing up, she was a little on the stocky side and a lot on the “2 left feet” side. To make matters worse, the friends she chose to surround herself with were all naturally teeny tiny and made it very clear that she didn’t quite fit in that way. It was this callous nature that caused Sam to quit soccer at a very young age. With the ridicule and awkward feeling only getting worse as she got older, Sam gave up on sports all together by submitting to the fact that she felt she could never be one of “those people.”“Those people” referring to those that fitness came naturally too. Who looked good sweating and smile that self-fulfilled smile every time their feet hit the pavement during their daily 5am 10k. Who had no problem eating healthy and who visibly and audibly express their disbelief in the fact that it’s “hard to behealthy” for some people. Even after backing off of sports, including ignoring a strong urge to run her freshmen year of high school, she still found that no matter how hard she tried, she was still treated like the ugly duckling. Whether it was how much she sweat in P.E., what she wore, what her voice sounded like, or the fact that she wasn’t quite as pocket sized as her friends were, Sam was made very well aware on a daily basis. It’s not that she didn’t TRY, it just so happened the she got labeled the clumsy black sheep and could never shake it. This led to anger… anger at the world for denying her happiness. You see, deep down Sam knew she was a good person. Deep down she knew she had a lot to offer the world in regards to awesome human companionship and baseline considerate behaviors that tend to be lacking these days, yet no one saw it. This made it really easy to withdraw and stoke the flames of anger like she were powering an old time locomotive. 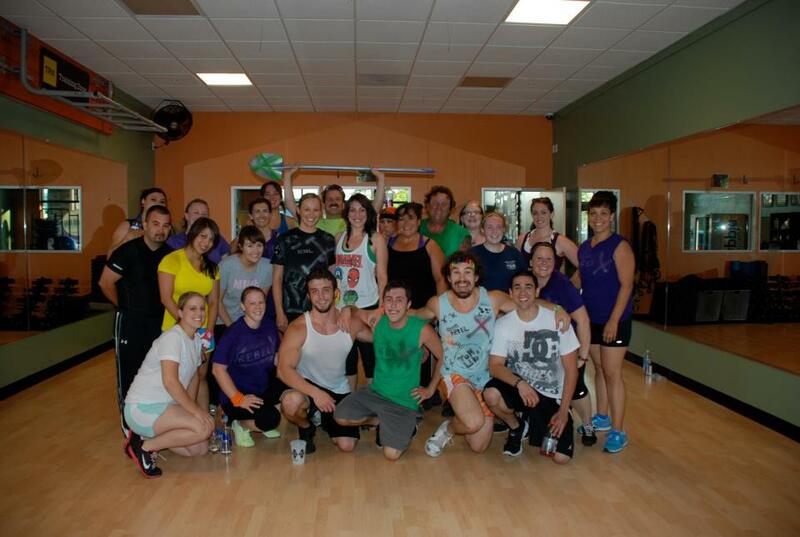 7 months ago, Sam joined AnytimeFitness. She’s participated in my Rebel programs during that time and to says he’s accomplished a lot both inside AND out would be the understatement of the year. These are the reasons that I approached her to be the 5th story I had the honor of turning in. She obliged, and I proceeded to interview her! I kind of had a “light bulb” moment today. I started to really think why did I decide to join the Fitness Rebellion and start to make exercise a priority. It’s pretty simple; it was because I wanted to be happy. I think the past few years I have been trying to find happiness/approval in other people, when I am the only person who can really make me happy (well, that and God…but that’s adifferent story haha). Also, in order for me to accept other people and be open to change, I had to accept me for me. I had to be open for change in myself, and find happiness in my own life. Change is a big deal for me, So getting a strong willed, Miss Negative to change was a challenge in itself….I think by putting myself out there and doing something for me for a change has helped me put a big dent in that fear of the unknown. So motivating myself, and having that motivation I was seeing around me helped me to accept change and realize that Ican do anything that I put my heart and mind into. The past 7 months have broken me (in a good way) both physically and mentally, but because of that “fight” I have become a more confident, strong, and independent individual who has found that happiness within myself. I thought I would share that with you because I am not good when it comes to be put on the spot, or opening up because I hold a lot in….but I feel like others might be able to relate. Sam, I think it’s safe to say you are not alone in that fight… Sometimes you just have to be willing to learn to fight. The irony though, is that in that learning process you unknowingly become the best teacher anyone could possibly ask for… Thank you for learning to fight Sam. Thank you MORE for teaching others that it’s NOT “you either have it or you don’t”… No, it’s “you either fight or you submit.” The choice is ALWAYS up to you. 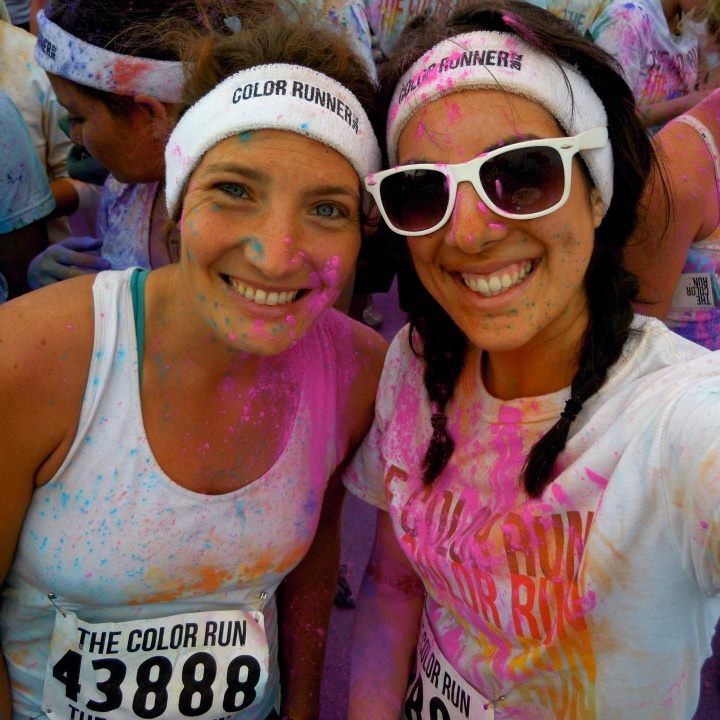 Sam, pictured on the right, after doing the Color Run!